In this week’s Sports Jam Spotlight Jason Melillo profiles Hopkins track and field athletes King Allah and Joe Fahnbulleh. The two excelled for the Royals this season and helped the team to a fourth place finish at last weekend’s state meet. 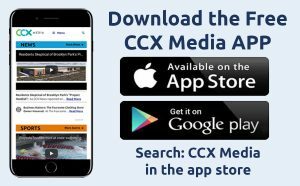 The story airs on the June 11, 2018 edition of CCX Media’s Sports Jam.